My passion for collecting began as a young boy when I bought my first pack of football cards in 1965. When I opened the pack to see a Buffalo Bills player on the 2 ½” by 4 ½” card with a pink background and smelled the fresh Topps chewing gum, I immediately fell in love with the idea of collecting cards and the thrill of discovering which players would be inside each pack. 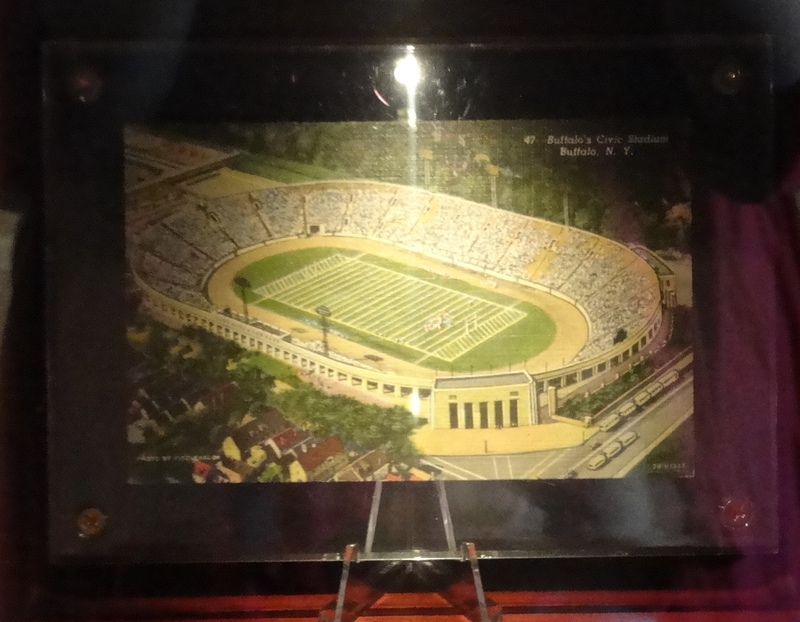 This thrill was addictive to me as a young boy, and coincided with my intense interest in football I picked up from my grandfather Cy Sanders, who played college football for Knute Rockne at Notre Dame. 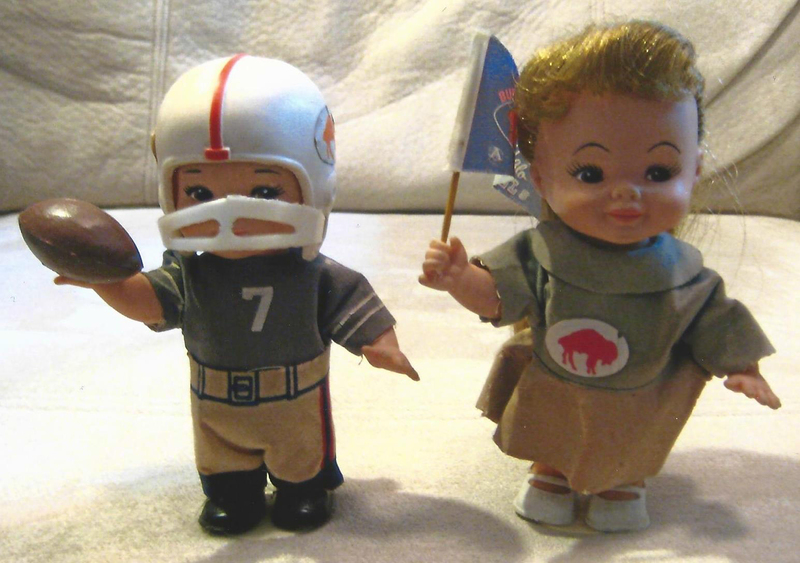 Those interests combined with me watching the AFL Champion Buffalo Bills on television and my passion was born. This collector’s passion continued to grow each week as I received my $.25 allowance and rushed to the corner store, on the same city block as my elementary school, to buy another pack of Topps cards. My first football game was an overwhelming experience. 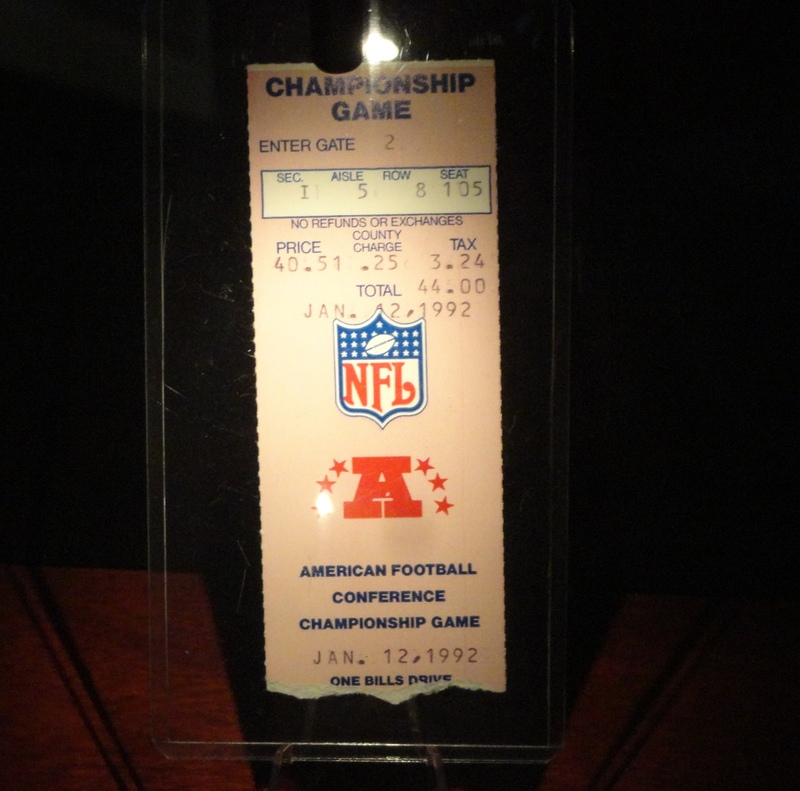 To think that I was going to see all my favorite Bills players, Jack Kemp, Elbert Dubenion, Tom Sestak and Mike Stratton that I watched on television, live, in person was almost beyond my imagination. The anticipation and excitement running through me was almost uncontrollable as I rode with my Dad in his 1964 Ford Station Wagon to my first live football game. As we neared the stadium, the concrete facade of the stadium rose up from the horizon. It seemed so big, and the sight of it made my heart race with excitement. Walking among all the parked cars, seeing all the people grilling food, eating, throwing footballs, was an amazing sight to behold. As we got closer to the entrance gate, I noticed vendors with carts, selling souvenirs. Immediately, I ran to one of them to get a close up of what they were selling. After reviewing all of the items for sale, I begged my Dad to buy me a bobble head doll and a pennant. Luckily he relented, and my collecting passion grew. I thought this experience was just as good as, if not better than, getting packs of football cards. Upon entering the stadium, I saw another vendor standing next to a few boxes, yelling “Get your program, get your game program, only $.50.” Again, I begged my Dad to buy me a program, which he did. I must have leafed through that program at least a thousand times, until the pages became dog eared. Incidentally, I now own every program from every Bills game. 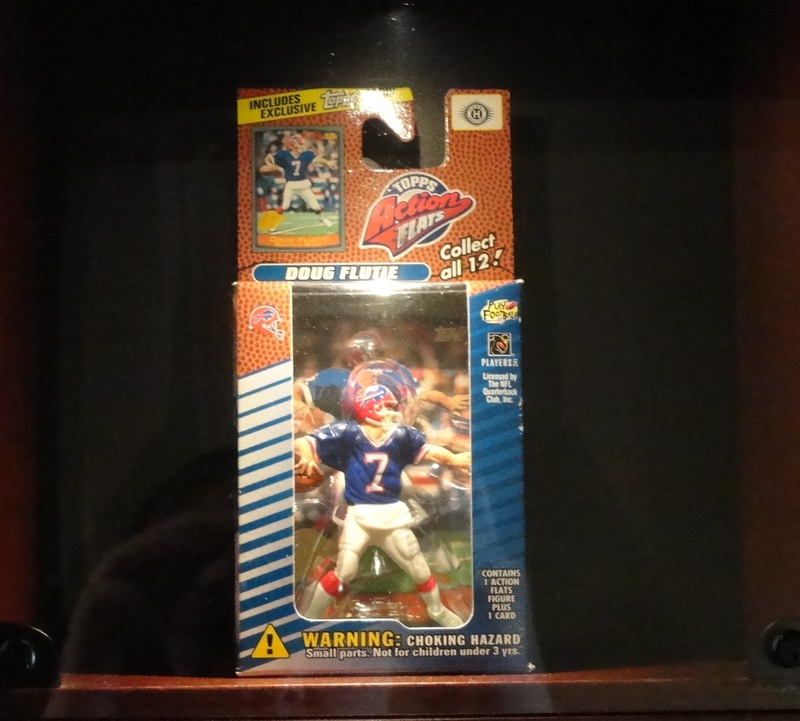 Following the game, a Bills victory that solidified my attachment to the team forever, I returned home and placed the bobble head doll on my bedroom dresser in the most prominent spot. I hung the pennant on the wall behind my bed, so I could see it each night before going to sleep. 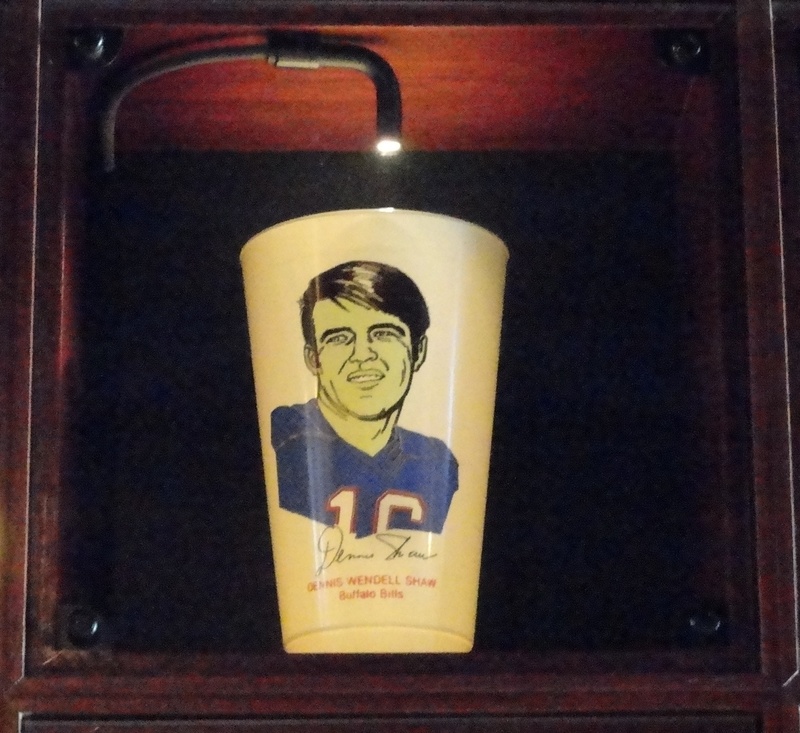 I still have the original three collectibles from that first game I attended with my Dad, and since 1965, have amassed the largest Buffalo Bills football memorabilia collection. As I went through school, I really enjoyed my history classes and was especially interested in American History. When I graduated from college my interest in American History aligned well with my Buffalo Bills collecting passion. 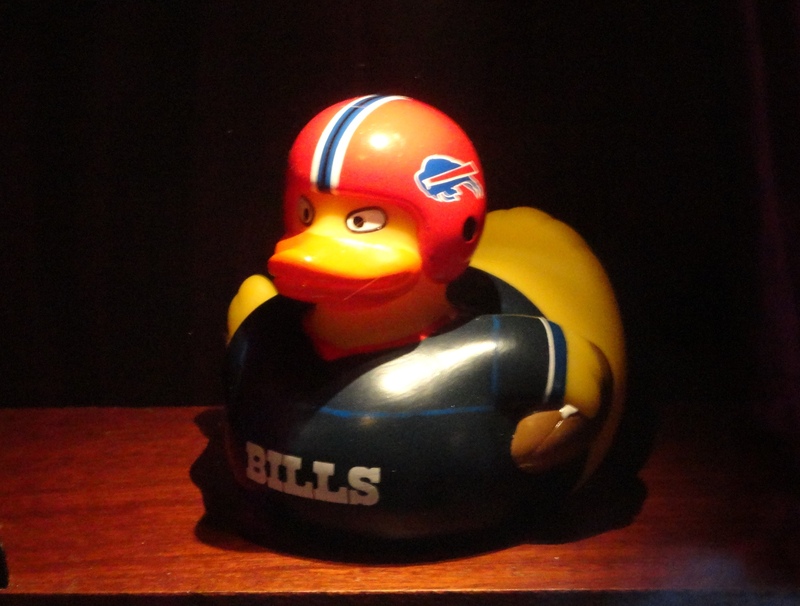 The Bills are much more than a football team to Western New York. They are a critical part of the fabric of the community and the region’s history. 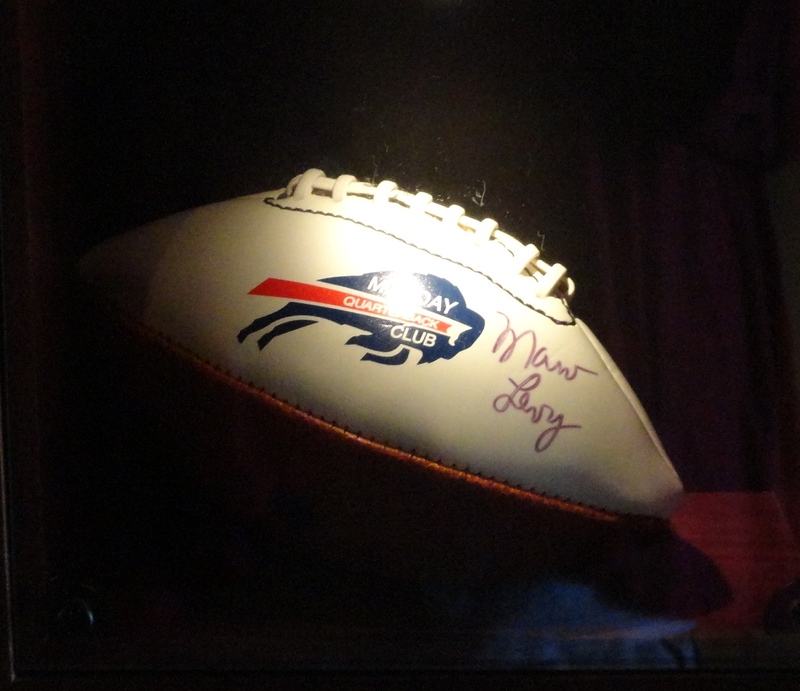 As I began earning my own money, I started to add to my Collection with a focus on capturing the Buffalo Bills history from their founding in 1960. I thought back to all of the football cards I had collected throughout my youth that I had left at my parents’ house when I left for college. Upon returning home and much to my disappointment, I learned that my mother had thrown out most of my football cards when cleaning house while I had been away. As I would tell her years later, she and other mothers like her (with the desire to clean) helped create an entire industry. The value of baseball and football cards has increased due to their scarcity. As baby boomers try to recapture their childhood, these cards continue to rise in value. That setback of losing my precious football cards further fueled my passion to collect the story of the Bills history through football cards, programs, publications, and collectibles of all sorts. One of the thrills of collecting is “the hunt,” the passion and focus to find another collectible to add to your growing collection. The thrill of finding the item you don’t yet have makes the hunt worthwhile. I believe it is the combined passion of the hunt and the thrill of finding an item you don’t yet have in your collection which fuel the collector’s desire. My hunting and searching have taken me to countless garage sales, flea markets, sports card shows, memorabilia shops, antique markets, used book stores, toy stores, malls, stadium shops and other collectors homes. Always on the search and looking for that elusive Buffalo Bills collectible. The best feeling for me as a collector is that evoked on a crisp fall morning before dawn breaks at the Clarence flea market, flashlight in-hand, hunting for Bills collectibles. 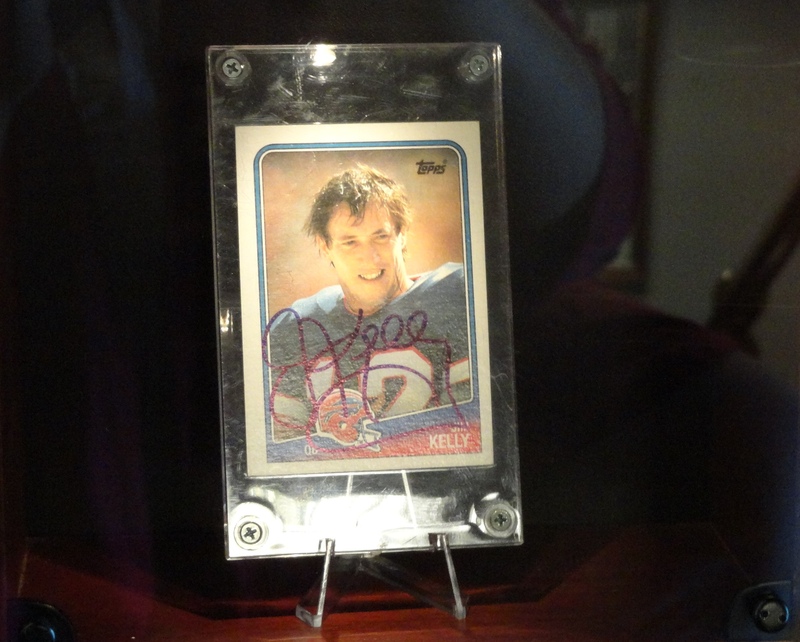 Moving among the vast array of artifacts and collectibles from dealer to dealer, rooting through box after box, I then feel the thrill in finding a new Bills item for my Collection. Before eBay came along, I scoured through classified advertisements in the Buffalo News, Sports Collectors Digest, Beckett, among others to find another collectible. In addition, I sent hundreds of letters to fellow collectors, dealers, and teams and made dozens of telephone calls networking with other collectors and dealers asking about Bills collectibles. To obtain autographs of players, I purchased address lists and sent letters to the players’ homes. I went to the Bills annual training camp and hung out after games outside the team locker room, trying to obtain autographs. In addition, I attended many events where players were signing – commemorative dinners, card shows, book signings, and store promotions. I have had many wonderful, memorable experiences while searching for my collectibles.